AP Courses: Are They Necessary for College Admission? This question comes up in our Admission office, College Counseling office, and even in our Lower School lobby. 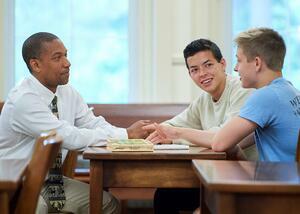 Parents and students alike worry about college preparation and bolstering transcripts. We asked our Director of College Counseling to shed some light on what colleges actually look for, what students need, and how a Westtown education prepares students for college. You might already know that Westtown School offers over 50 upper school courses with advanced designations, but you might be wondering why Westtown doesn’t offer Advanced Placement (AP) courses. In 2005, after a vigorous two-year curriculum review, the school’s Curriculum Committee recommended removing the AP designation from all Westtown courses because, as they found, “[A] Westtown Education is a religious endeavor, is rooted in community, educates the whole child, fosters an appreciation of racial, ethnic, economic and religious diversity, calls for a variety of approaches to pedagogy and assessment, encourages interdisciplinary learning, allows time for the present moment, and empowers students to create positive change in the world...Our students’ growth as independent learners will be enhanced by teachers having room in their curriculum to create challenging laboratory and research experiences and to assign lengthy and difficult works of literature in English and in foreign language studies, to name just a few.” The committee found that neither AP nor International Baccalaureate (IB) programs allowed for the depth and richness Westtown prizes in its course offerings. It’s important to note that Westtown wasn’t alone in dropping AP; we were simply ahead of the curve. The numbers of schools not offering AP courses continues to grow each year. Several dropped the AP designations around 2005, and more continued to in the following five years, including many New York elite private high schools. Most recently, the heads of eight independent schools in the DC area joined together to remove AP courses by 2022. Writing in The Washington Post, the eight heads, including Bryan Garman at Sidwell Friends School, noted, “Almost 40 percent of high school students enroll in AP courses, meaning it is no longer true that only a few, exceptional students take them. As a result, AP courses on high school transcripts are of diminished significance to college admissions officers.” What is significant to college admissions officers? Evidence of a true interest in learning, of a passion for one or many subjects, of the ability to solve problems, work collaboratively with others, write clearly, argue respectfully, and recover from setbacks. From my own experience working in four other high schools, all offering AP or IB, I know that Westtown has the most impressive and most interesting course offerings – by far. There is great integrity in choosing our own path, personalized to the needs of our students, instead of relying on an outside authority to tell us how to teach and what to teach. Creating a healthy (and sane) learning environment is integral to a Westtown education. Even without AP courses, most students will take the SAT or ACT at least once (although over 1000 colleges are test optional) and some will take SAT Subject Tests (although the number of colleges requiring them has decreased every year; currently only five do.) Add the expectation that students participate in sports or other after-school activities, and you’ll find that students are already have significant demands on their time. Westtown believes that the rigidity of AP tests would make the workload even more onerous. AP courses depend heavily on rote memorization and formulaic writing, and Westtown’s classes go into much greater depth and offer a wider range of assessments and learning opportunities. We also offer many topics outside of the narrow range of AP courses: Modern Latin America, Linear Algebra, Religion and Science, Contemporary World Literature, African American Experience, Creative Writing, Nonfiction Writing, Biology of Disease, Modern Physics, Astrophysics, Evolution, Chemical Reactions, Design Engineering, Computer Aided Design, Nonviolence and Social Change, Woodworking 3, as well as a host of religion courses, a vibrant part of Westtown’s curriculum not found in many schools. And to illustrate the contrast further, the AP program offers World History as one exam. We offer Ancient World 1: Egypt, India, China; Ancient World 2: Western Africa, Europe; 20th Century Asia; Genocide Studies; Modern Africa; Modern Europe; Modern Latin America; and World History 1300-1800 and World History 1800-2000. Students may also apply to do independent study in academic subjects of their choosing. In addition to tests, which is the only mode of assessment AP offers in all but its art courses, our students’ learning is assessed in a variety of ways. They are expected to write long-form analytical essays, do group projects and presentations, conduct their own research, solve real-world problems, and investigate their own genuine questions– not just those dictated by the AP or any standardized test. Westtown’s approach, and consequently our graduation requirements, foster choice and independence. We remain protective of the room we’ve made in our curriculum for students to think broadly and deeply, make connections between disciplines, and take on their own questions and projects. Students select a course of study that best fits their interests, which may include pursuing independent research, earning an interdisciplinary Deep Dive Certificate (in Social Entrepreneurship; Sustainability Leadership; Diversity, Inclusion, and Social Change; Global Citizenship; or Data-Driven Change), or taking advantage of cross-cultural immersion opportunities. Senior Projects are yet another way students can tailor their learning to go beyond the classroom experience. When you’re teaching to the test for AP or IB, it can be challenging to take off for a two-week project or an immersion experience. Flexibility gives students more of a voice in their education, making them more interested in their work and more interesting to know – which is not lost on our friends in college admissions. So, what about college? Don’t students need APs for their transcripts? No! AP scores aren’t required by any college and have little impact in the admissions process. Westtown’s “advanced” curriculum designation indicates our most challenging courses in every department, and further evidence of scholastic distinction is seen in students who choose Independent Study or Certificate Programs. Our curriculum at Westtown has more in common with actual college classes than the AP does, and where choice is plentiful and curiosity fostered, there’s no problem finding many opportunities to exercise and demonstrate academic potential. In addition, college admissions officers know Westtown well – over 120 visit campus each fall – and it’s a major advantage that students are given the time and encouragement to meet them, have conversations, and ask questions. In the end, our students gain admission to the colleges that most interest them, including large public universities; small, private colleges; highly selective schools; art and music programs; honors colleges; and everything in between. 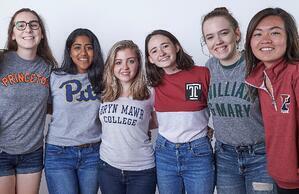 Westtown’s goal is help students find the college that is the right for them. On college visits, you’ll likely hear someone in admissions say, “The jobs our students will have in the future haven’t been invented yet.” The implication is that no one subject or prescribed path of classes will prepare a student for a future career. What we can do for students is prepare them to be creative thinkers; active, engaged citizens; compassionate community members; and devoted learners. At Westtown, we are committed to doing just that, and we take great pride and joy in our work. 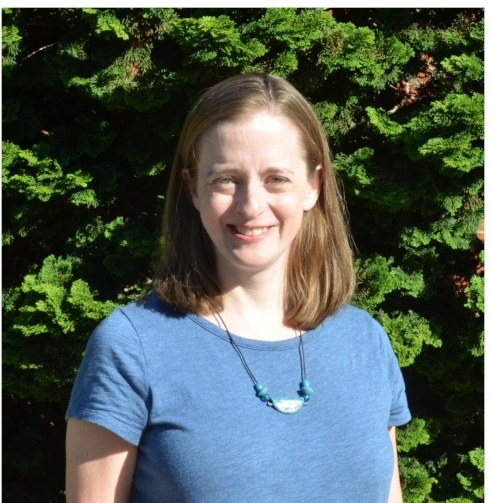 Jessica Smith is Director of College Counseling at Westtown School. Previously, she served as Associate Director of College Guidance, faculty co-clerk, English teacher, and English department chair at Wilmington Friends School. She attended Mount Holyoke College and earned her M.S.Ed. at the University of Pennsylvania.